A radio station in the Carolinas is looking for someone to host a daily sports talk show and possibly do some play-by-play. The complete position description, the name of the employer and contact information has already been emailed to STAA members. If you're not an STAA member and want this job lead, join STAA now and we'll send it to you. Last edited by Jon Chelesnik on Thu Jan 10, 2019 9:31 am, edited 1 time in total. STAA members have already had their demos and resumes sent to this employer. You have an edge in the job market when someone is going to bat for you. If that would be helpful to you, You should click here now to join STAA or call 949-648-7822. This station has already had preliminary phone conversations with some candidates. They plan to make a hire in January. Ever wonder what assistance STAA members are receiving besides job leads? 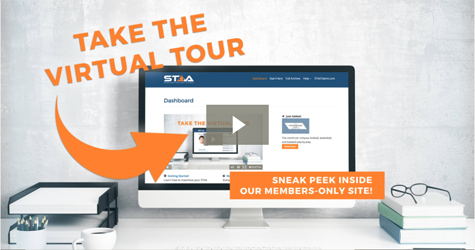 Take this short virtual tour of the STAA Members Site now to find out! Congratulations to STAA member Marc Ryan, the new midday host and assistant program director at ESPN Upstate in Greenville, SC. "STAA was pivotal in receiving the job offer," Ryan says. "I learned of the opportunity before the crowd, I received encouragement from Jon [Chelesnik] throughout, and most importantly he was there to answer critical questions for me when the offer came." Visit Marc's STAA Talent Page.